While a relative newcomer to the highly competitive golf ball market, the Nicklaus Golf Ball line has managed to carve a loyal and growing following among both consumers and the numerous media outlets that have tested and covered the balls since the launch last fall. When it comes to equipment, golfers are among the most discerning athletes in the world, which is why Mr. Nicklaus personally worked with experts in materials, technology, engineering, design and manufacturing during the development process. As a result, the outstanding performance capabilities of the line have been noted by some of the most respected names in the industry. Beyond creating a great product, one of the major initiatives with the Nicklaus Golf Ball line was to raise funds and awareness for pediatric charities. A percentage of every dozen purchased is donated to the Nicklaus Children’s Health Care Foundation and St. Jude Children’s Research Hospital. Consumers using Nicklaus.com to purchase balls receive free shipping and if via FedEx delivery services, an additional donation is made to St. Jude. Visitors can also make voluntary contributions; to date, nearly 80 percent of consumers have opted to make a donation. Outstanding performance and a strong connection to charity are two major components of the Nicklaus line, but it was also important to offer the balls at a tremendous value to ensure all players can afford and enjoy the product. Online sales save golfers money because distribution costs typically built into product sold through traditional retail channels have been reduced. This allows Nicklaus Golf Balls to be priced attractively at $28 to $32 per dozen and generate greater charity donations. 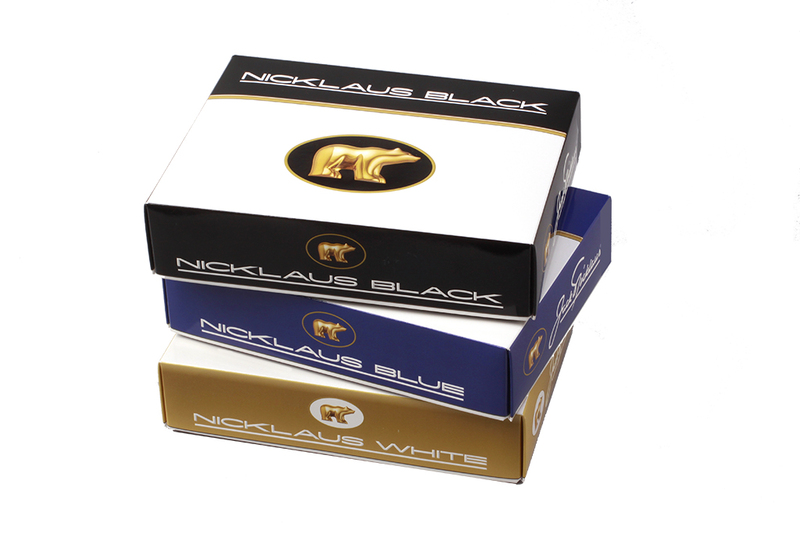 We strongly encourage you to visit shop.Nicklaus.com/golf-balls to learn more. Get social: @jacknicklaus and Facebook.